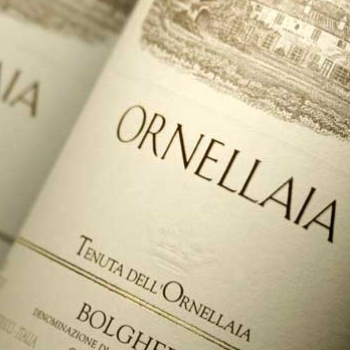 Italian Super Tuscan Ornellaia recently finished the longest harvest in its history, lasting some three months in total. Beginning on 16 August with Sauvignon Blanc for its dry white, the harvest ended on 4 November with the Petit Manseng used to make its rare pudding wine, ‘Ornus’. Clearly in-between the reds were also harvested and in line with many regions around Europe, news of the 2015 harvest is resoundingly positive. Ornellaia’s estate director and oenologist, Axel Heinz, said: “This year we began early and we are excited about it. We have high expectations for the 2015 harvest. The intense July heat caused the grapes to mature slightly earlier than usual. “Fortunately, the rains finally came in August, and we welcomed their arrival after such a long period with no precipitation. The storms actually refreshed the vines and lowered temperatures, especially at night, creating the temperature fluctuations that led to the best possible aromatic development of the grapes.